Whether you are strictly a Facebook person or on every social media platform out there, social media has become a large part of our everyday lives, both personal and professional, and is continuing to grow. With this gaining popularity, businesses are expanding their reach and embracing more social media platforms, such as Snapchat. It is almost a requirement for business to have a social media presence in order to engage with their audiences. As ad blocking technologies advance and streaming services become more wide-spread, it is becoming more difficult for businesses to market to their target audiences. Along the same lines, customers are looking for the ability to engage with companies in real-time and social media provides those capabilities. 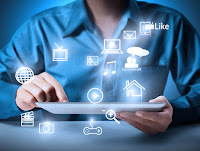 While sites like Facebook and YouTube have been around for over a decade, the social media medium is constantly changing and the rules for using these platforms from a marketing perspective are still being established. For example, while a topic or event may be trending on social media or be of interest to your followers, should you incorporate that into your content? As more companies turn to social media as a marketing outlet, this question is being debated more frequently. Businesses may feel compelled to comment or post about topics if they see that they are trending with their target audience. However, just because something is being talked about does not make it an indicator that your organization should join the conversation. Topics like religion and politics are almost exclusively off limits for businesses, but recent events have also shown that you should think twice before posting about holidays or current events. Recently, some large organizations have gotten in trouble with the public for content they published about holidays or current events; whereas others have been acclaimed for their responses to such events. Similarly, some companies have received backlash for responding to these events, while others were criticized for not commenting. It is impossible to please your entire audience in these situations, but it is up to organizations to determine the appropriate reaction to incite the least amount of criticism. Many suggest that as a general rule of thumb, unless the topic in question is in some way connected to your business, operations, or goals, it is best not to get involved so as not to appear insincere. Regardless, these types of situations should be discussed upfront when creating your social media plan - clearly outlining the rules of engagement and parameters for posting current event related content. It is important that you communicate this information throughout your organization, especially to those with access to your social media accounts. It is almost impossible to escape the world of social media anymore, as new platforms are created and gain popularity with the public. Marketing agencies and social media firms specialize in staying on top of and understanding how to utilize the different social media platforms in the market. These agencies can help your organization create the social media plan best suited for your organization and manage your social media content accordingly. Source One can work with you to identify a marketing agency that can help you navigate the social media minefield and establish a social media plan best suited for your business model.